Joe Biden likes ice cream. Cheesesteaks, too. 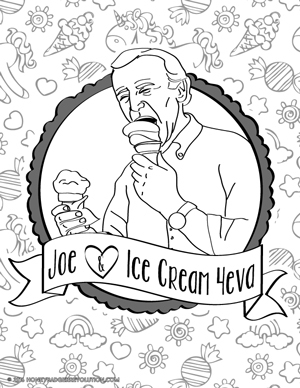 Single download of printable Uncle Joe Hearts Ice Cream coloring page.